The golf performance program is geared toward enhancing physical performance specific to the game of golf. The program is designed for the recreational or professional golfer who wants to improve his or her game. The program is designed towards the individual needs of the golfer and tailored to meet the goals of the golfer and the physical therapist. Kevin Linde is a certified golf fitness instructor and is certified through the Titleist Performance Institute. Improve the strength and flexibility specific to the golf swing. Increase the individuals awareness of their body position during the golf swing. Develop increased endurance and overall physical conditioning. 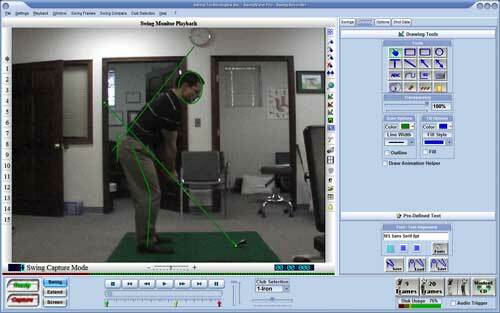 Biomechanical evaluation of the golf swing with video analysis. Physical evaluation of strength, flexibility and posture, balance and endurance. Individualized stretching and soft tissue techniques to improve flexibility. Direct contact with your teaching professional to provide you with a team approach to improve your game. Click here to view a series of pre-round warm up exercises.